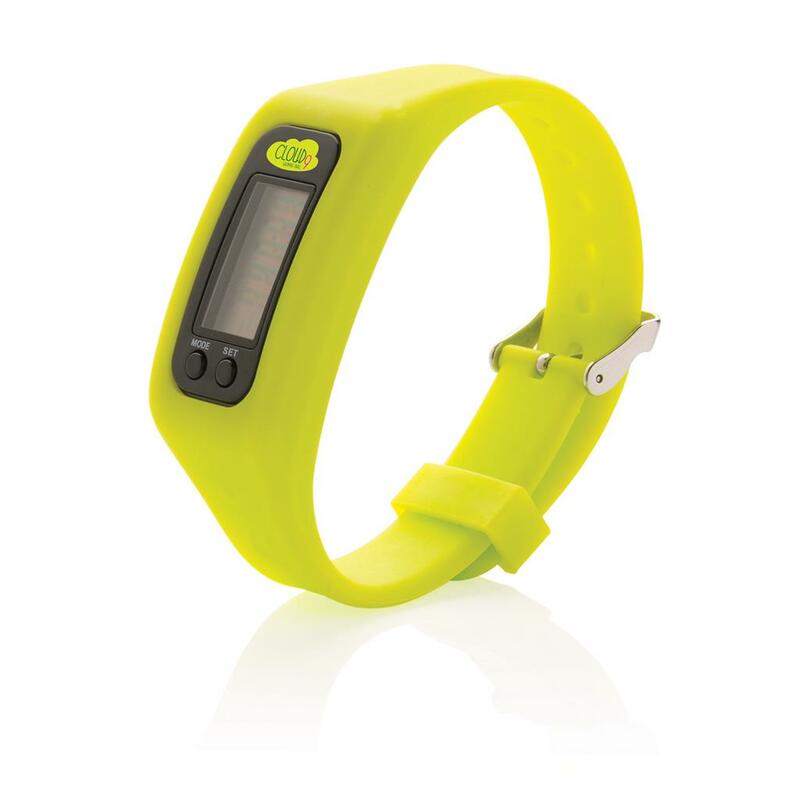 Pedometer bracelet with ABS pedometer unit and acrylic screen. The armband is made out of comfortable silicone material. 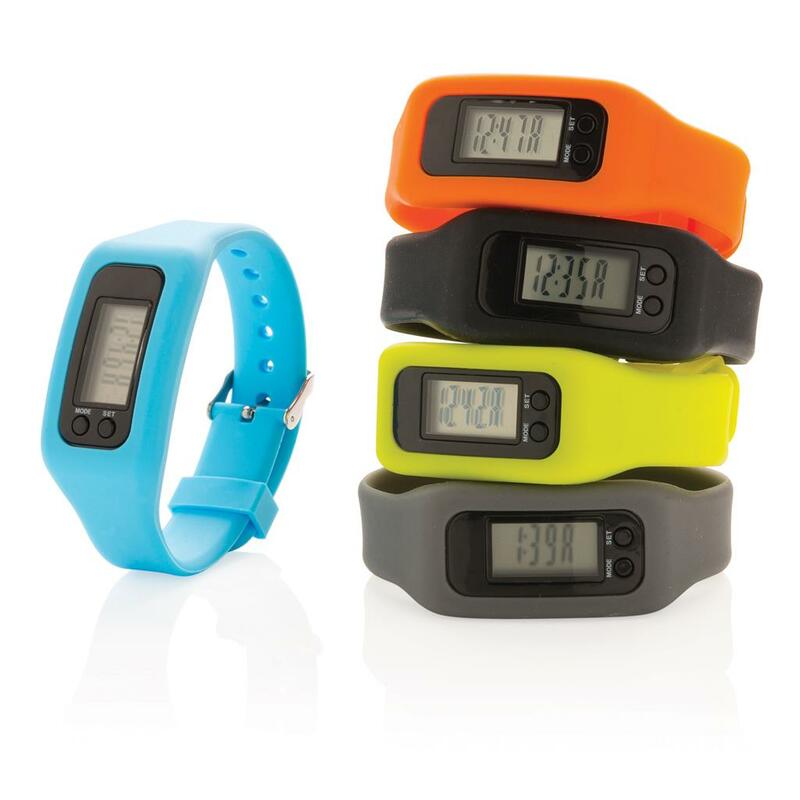 The bracelet is adjustable to fit various wrist sizes and therefore suitable for all users. 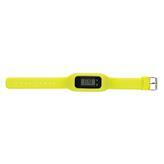 The bracelet counts steps, calories burned and distance travelled. Includes batteries for immediate use. Battery life on normal usage about 1 year.